detail where quality was concerned on this line. 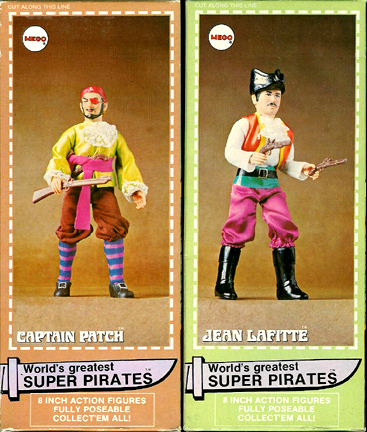 The Super Pirates line has been reproduced by Classic TV Toys as complete figures. 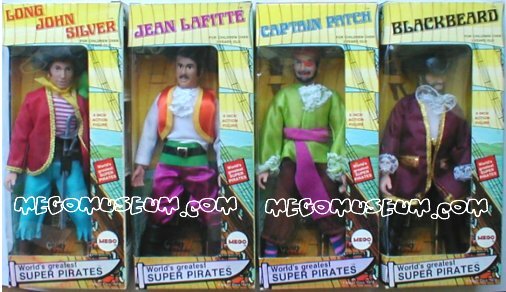 This makes for plenty of reproduction parts for this line. 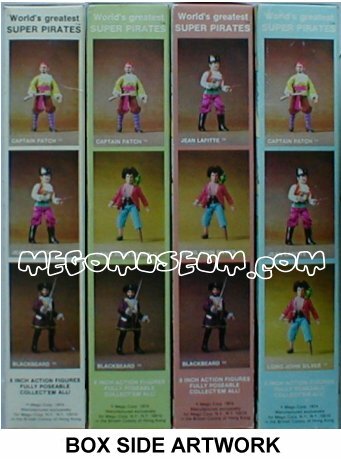 This section will help you identify those reproduction parts. 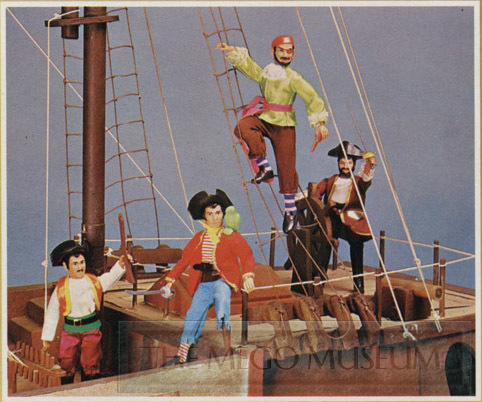 The original Pirate line was available on both the Mego type1 and type2 bodies, although type 1 pirates are more common. 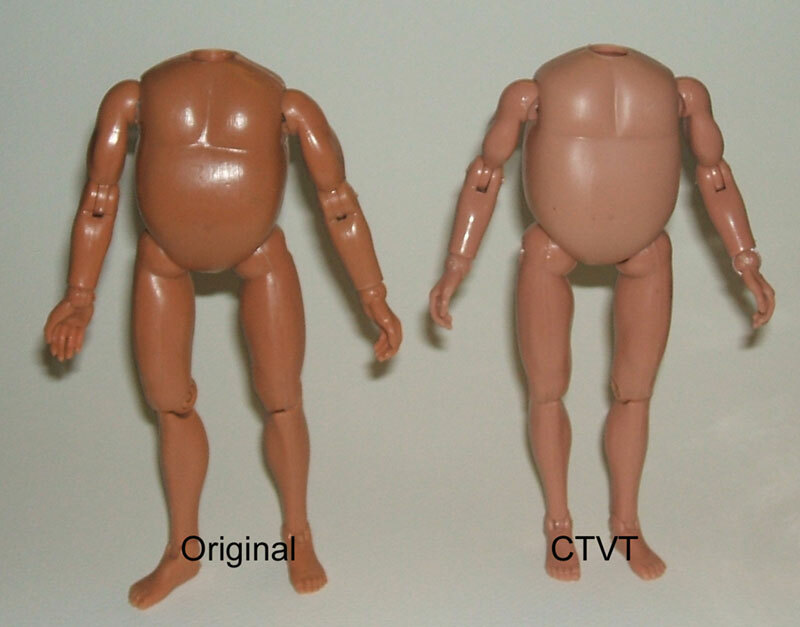 CTVT body are the legs that tend to snap together at the knees. 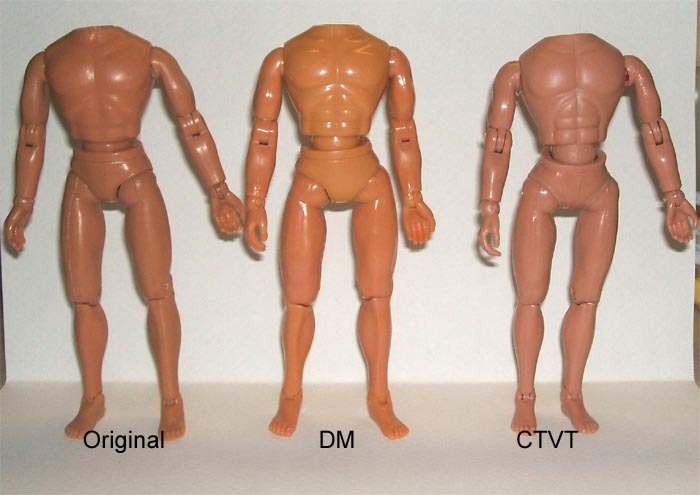 It should also be noted that Tim Mee produced the Type 2 body during the Mego era. 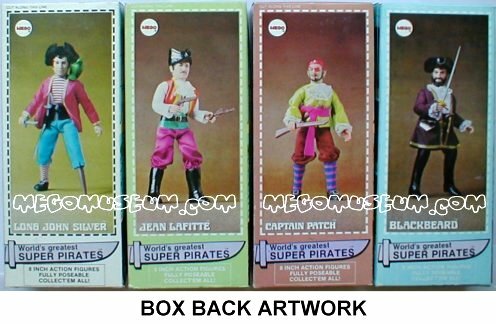 This is a vintage knockoff that is identical in almost every way to the original body. 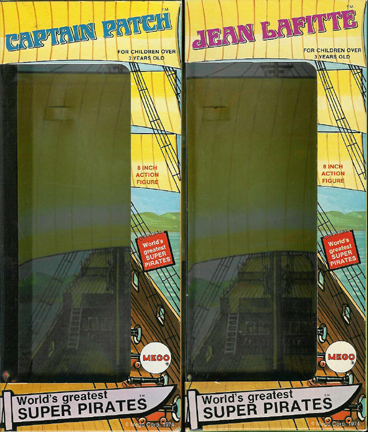 It’s weight is perhaps a touch lighter, and the Mego copyright info on the back of the body has been blotted out, but otherwise it’s identical. 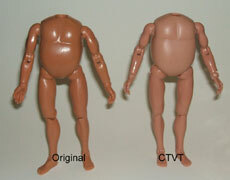 CTVT body are the legs that tend to snap together at the knees. It is unmarked.